Shop Amazon Back to school is right around the corner. Have you completed your back-to-school shopping yet? If not, you better make plans to go shopping soon! It’s amazing the amount of things kids need, and finding everything on a long back-to-school list can take some time. It seems like every year, the lists get longer and longer and the trips get more and more expensive. Even with coupons and discounts, the costs can add up quickly, especially if you are buying for multiple kids. As a frugal person, you may be tempted to buy the bare minimum. If the list says 10 folders –you buy 10 folders and no more. After all, you likely shop from a list and you know that adding a few extras in here and there can really add up. Have you ever considered that buying only the bare minimum can actually cost you more in the long run, however? It’s true! Sometimes, by spending a little more, you can actually save yourself both time and money in the long run! Here’s how. It’s amazing how quickly kids use up their school supplies and need new ones. Not only do their old supplies get used up, worn out, lost and broken, but they always end up needing new things no one anticipated as well. Wait until a few months into the school year and you’re bound to end up paying top dollar for supplies that you could have gotten dirt cheap before the school year began. Having a few extra supplies on hand, especially pencils , paper , crayons and markers , can help you avoid this sticker shock later. Plus, if you end up not needing them, you can always use them next year. Not only does buying replacement school supplies cost you money you weren’t planning on spending, but replacing them usually takes time as well. For some reason, kids never seem to think about the school supplies they need when you are headed to the store anyway. Instead, how often do they wait until just before bedtime to announce that they have a project due and they don’t have the supplies they need? Unless your evenings consist of sitting around, waiting on your kids hand and foot, chances are, you have other things you’d like to do in the evening than make last-minute trips to the store for poster board , crayons and glitter glue . Having a stash of these things on hand already can save you time–and sanity! In addition to buying extras, don’t forget to look for quality products as well. Buying the cheapest products you can find may seem like a good way to save money, but it will only end up costing you if they break or wear out faster and need to be replaced. For example, some cheap pencils don’t sharpen well. You can sharpen them down to a stub before you get a sharp point. Buying quality pencils may cost you a few cents more at the store, but you’ll need far fewer pencils throughout the year. The same applies to other back-to-school products as well, such as jeans , erasers , backpacks and water bottles . 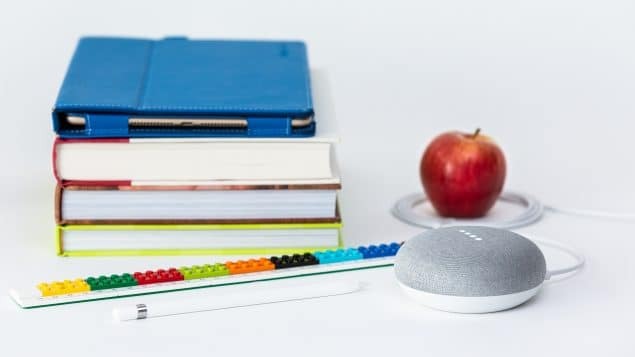 If you take the time to do your research, you can find tons of ways to save on back-to-school supplies –purchasing the bare minimum amounts of inferior quality products simply isn’t one of them, however. This school year, save yourself time and money by getting good products and by buying a few more than you’ll need. Have you completed your back-to-school shopping this year? Did you just buy the bare minimum, or did you stock up a bit just in case?